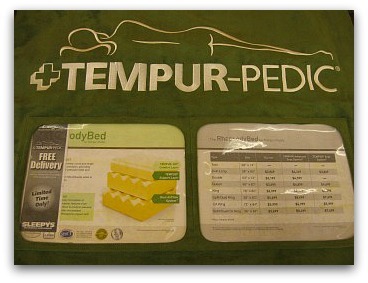 Tempurpedic beds are marketed as complete "Swedish sleep systems" with foundations. However, one of the nice things about a visco elastic foam mattress is that it will work fine with any flat, stable surface. You probably wouldn't put an expensive mattress like this on the floor but if you did it wouldn't hurt it. So if you have a platform bed or something comparable then you don't really need the foundation. You should be aware though, that if you don't use their foundation it may void the warranty. 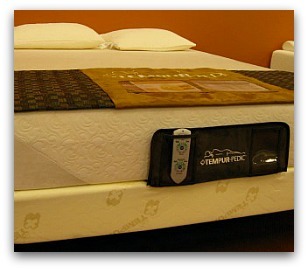 The Simplicity is the most recently released of the Tempurpedic beds. It is meant to fix one of the major complaints that people had about the company's mattresses: they cost too much. They are the least expensive and are specifically designed to offer a product that nearly anyone can afford. Up until now most Tempurpedic beds have been very costly, with the exception of the OriginalBed which they released back in 1998 and still offered until just a few years ago. 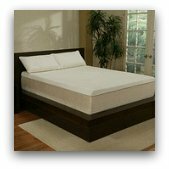 Simplicity has replaced the older Traditional Tempurpedic beds which were the Original Bed, Advantage Bed and the Classic Bed. The company developed a new variation of their memory foam called Tempur Essential which can be produced more cheaply and in different firmness levels. This makes it more like a traditional innerspring mattress in that regard and allows people to find the comfort level that they desire. This had been an ongoing problem since many consumers found Tempurpedic beds to be too hard for their taste. The Simplicity line has been another big success for the company, garnering rave reviews and selling quite well. It's not surprising that they're doing well whenever they introduce a new product because they base everything they do on market research and try to find out what the consumer really wants. The Contour line most closely resembles the companies original products that they became famous for. They're constructed with the original "Tempur material" which they've been using since the beginning, and the formula for which is still a closely guarded company secret. These are medium to firm mattresses, leaning more towards the firm side. Of course they have all the beneficial properties of memory foam such as temperature sensitive reaction to the contours of the body and incredible pressure relief. These are the mattresses that will satisfy those folks who fell in love with original Tempurpedic beds and saw no need for change. People who initially didn't like their memory foam because it felt too firm will probably be happier with the soft version of the Simplicity or any of the ultra plush Tempur Cloud mattresses. The Contour line has greatly simplified and streamlined the company's offerings, which were becoming quite complicated with all manner of different models. In order of increasing price and thickness they are the Contour, Contour Select and Contour Signature. 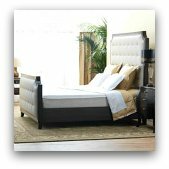 They replace the more expensive Tempurpedic beds in the Traditional collection as well as many models in the High Profile category. These include the AdvantageBed, ClassicBed, DeluxeBed, PrimaBed, BellafinaBed and BellasonaBed. This product line was specifically developed to address another one of the most common complaints about the company's mattresses - that they feel too firm. 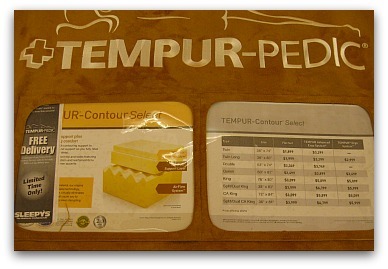 After over a year of research they came up with a variation of their memory foam called Tempur-ES (Extra Soft?). The Cloud models have been another major success for the company because they give consumers exactly what they want - soft enveloping memory foam which feels similar to a plush innerspring mattress. In order of increasing price and thickness they are the Tempur Cloud, Cloud Supreme and Cloud Luxe. 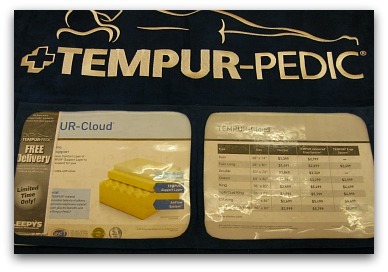 The Tempur Cloud is 8 inches tall and has a medium soft feel. Surprisingly, it is quite reasonably priced at $1699 for a Queen. The Cloud Supreme is 11 inches tall and has an even softer feel due to those extra inches of Tempur ES memory foam. The Cloud Luxe is 13 inches high with even more layers of ES material. It's the luxury model and is super soft, with every little detail designed to make you more comfortable while still providing proper support. It is the softest as well as one of the most extravagant mattresses they produce. The HD category contains the few mattress models that were kept from their previous product line. It includes only the RhapsodyBed, AlluraBed, and the top of the line Grandbed. They all use the denser and heavier Tempur-HD material which is more durable, supportive, and comfortable than their original Tempur material. This, of course makes these models more expensive. For a complete list of the current mattress prices be sure to check out our Tempurpedic price guide. The Rhapsody and the Allura are exactly the same price. The main difference is the Allura is a pillowtop, which gives it a softer feel than the Rhapsody. They are both very nice looking with high quality construction apparent even in their outer upholstery. The RhapsodyBed is 12 inches tall and has a medium-firm feel but still conforms to the body's contours completely and offers even better pressure relief than the less expensive models. It also has a more luxurious covering made with Tempur-Tex fabric that is meant to keep you cooler. The Allura Bed is 13.5 inches tall and has a medium feel. The Pillowtop layer should satisfy people who feel that a Swedish memory foam mattress is too hard and prefer the ample cushioning of a traditional innerspring. 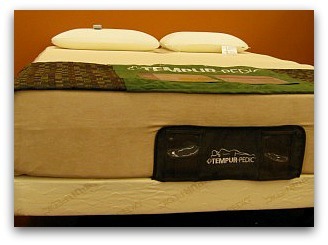 The comfort layer uses Tempur-HD to form the plush pillow top. The MicroSuede used for the covering has an extremely soft and silky feel as well as useful anti-microbial properties. Last we come to the Luxury model - the GrandBed. It is 15 inches tall and has a Eurotop that is even softer feeling than the Allura. This is the top of the line in Tempurpedic beds. Every detail is carefully crafted to provide the ultimate pampering. The level of decadence here is really amazing - it has the best of everything the company has to offer. Of course this is the most expensive model but if you can afford something like this then you're probably not too worried about money. These are all much thicker than your average mattress and will need appropriately sized sheets. Still can't figure out which model is for you? One great tip when buying is to try them out in person. That's really the only way to tell which feels most comfortable for you. You probably don't want to get something as large as a mattress delivered to your home and then decide you have to return it because you don't like it. 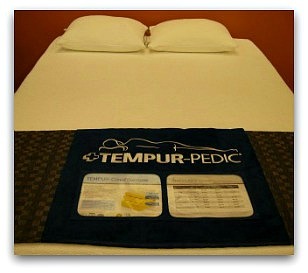 Tempurpedic beds have a lot to offer when it comes to their product line. No matter how much people get confused with all the terminology used in mattress-speak, consumers can be confident that a well established brand like this will provide quality for their money.